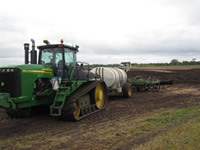 Soil fumigants are pesticides that, when applied to soil, form a gas to control pests that live in the soil and can disrupt plant growth and crop production. Soil fumigants are used on many high value crops and provide benefits to growers in controlling a wide range of pests, including nematodes, fungi, bacteria, insects, and weeds. As gases, however, fumigants move from the soil to the air at the application site and may move off site at concentrations that can produce adverse health effects in people from hours to days after application. These health effects range from mild and reversible eye irritation to more severe and irreversible effects, depending on the fumigant and the level of exposure. 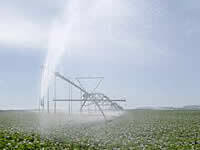 The Environmental Protection Agency (EPA) has implemented important safety measures for soil fumigant pesticides. These safety measures increase protection for agricultural workers and for people who live, work, or otherwise spend time near fields that are fumigated. These measures are included on the product label and are listed below. 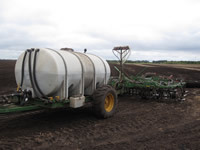 Applicators must be licensed and follow the label requirements. Handler Protection - Restrictions address respiratory protection, tarp handling and an entry-restricted period.